The Earth Balloon can be purchased as a complete educational module or display module, depending on your needs. 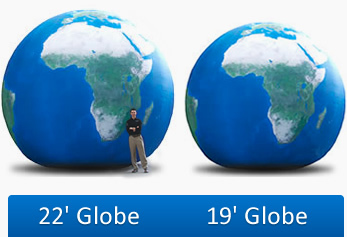 The Earth Balloon utilizes state-of-the-art satellite imagery and is constructed of durable satin polyester. Safety features include a Velcro floor seam for quick exit. Onsite training is available for all purchases. Rent the Earth Balloon module for low weekly or monthly rates!